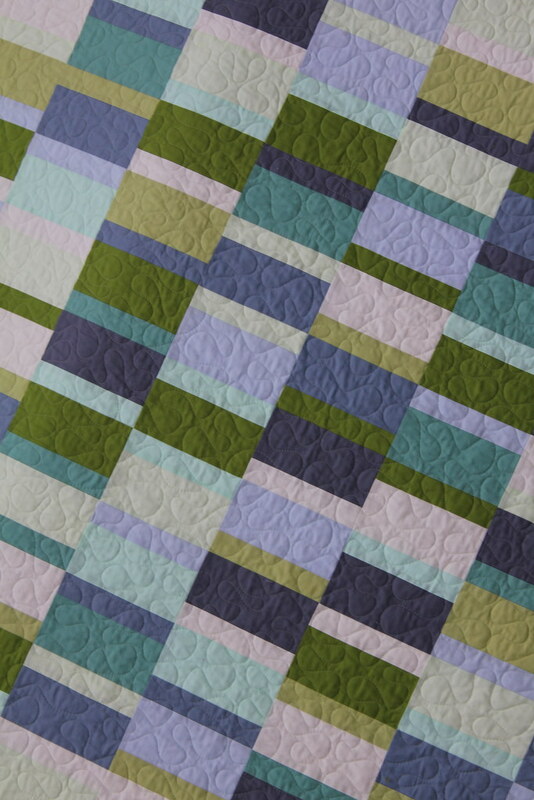 Modern Quilting by B: Phew! 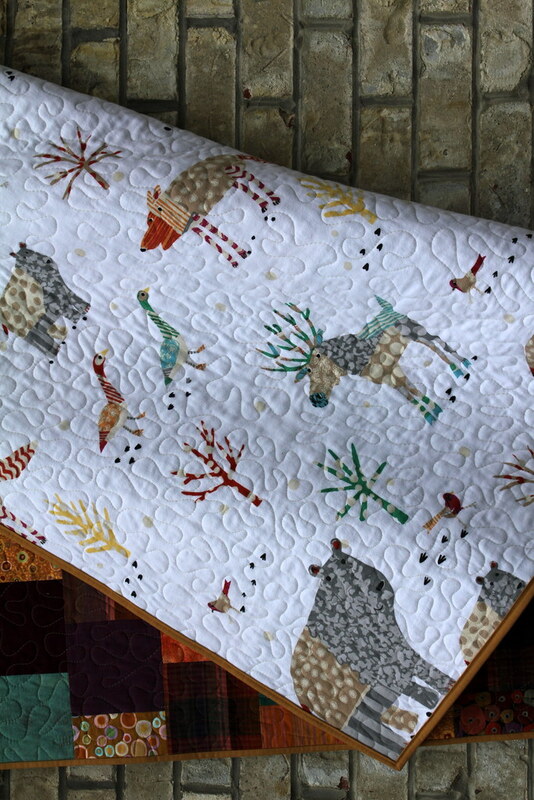 Just in time for Thanksgiving, my holiday gift quilts are finished. Earlier this year, I set out to make a quilt for each of my family members, excluding hubby and f-in-law, who always get to use the household quilts. That meant five quilts needed to be made by Christmas, or so I thought, until about a month ago when I learned that my family would be visiting for Thanksgiving this year and not for Christmas. I really needed to pick up the pace and get these wrapped up. I am relieved that I have made the deadline, with three days to spare! My mother is a quilter and is a little more traditional in her styling than I am. 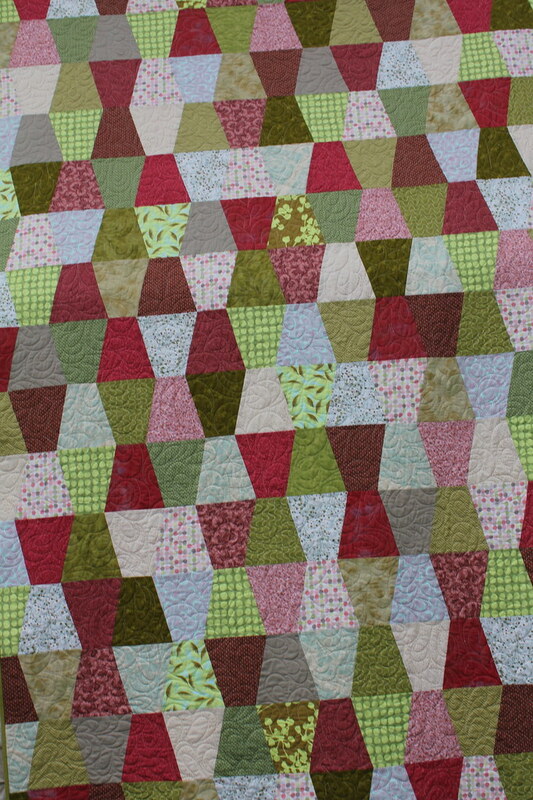 Her quilt is pink and green, and not quite so modern. I know that she will appreciate it. 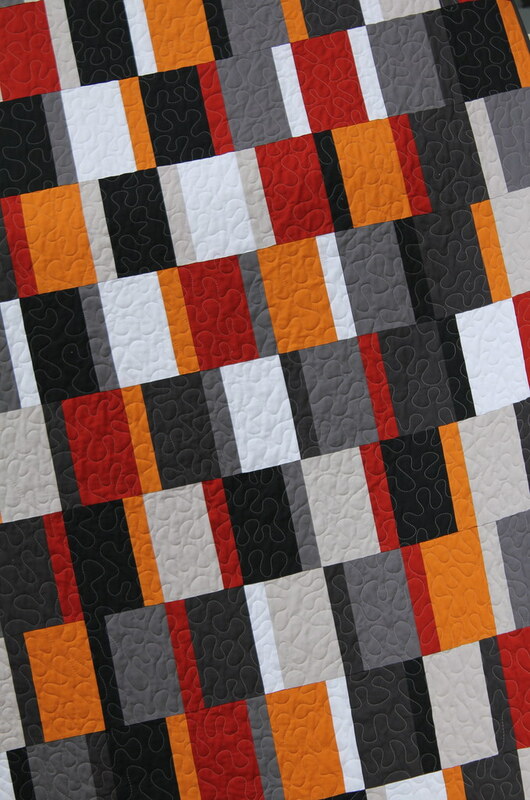 For a true Pittsburgh sports fan, this quilt is all Steelers, Pirates and Penguins. She'll love it, as will her dog Star, who has been known to snuggle with her on cold winter nights. A less bold, more subtle snow flake theme. I made this quilt last spring and have patiently kept it under wraps all these months. That was not easy for me to do! 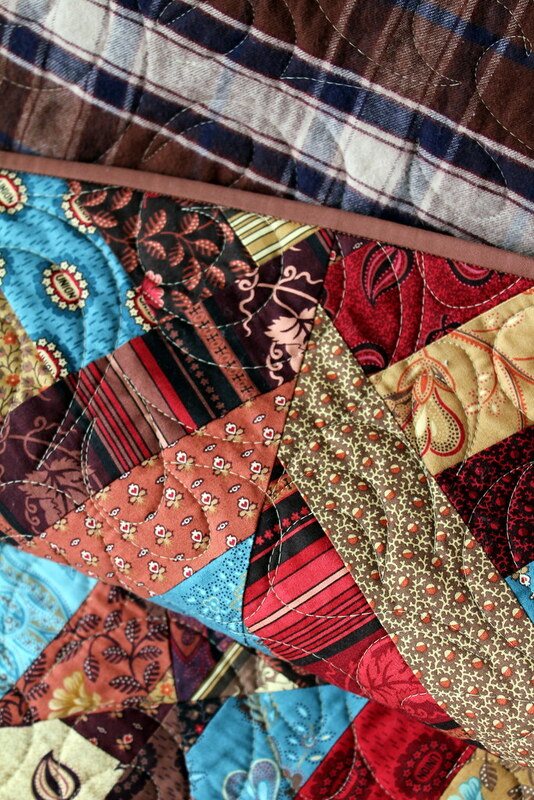 A traditional, American Civil War themed quilt using all of of two jelly rolls. B-in-law appreciates history and being a Pennsylvanian, there is much local Civil War history to be had nearby. 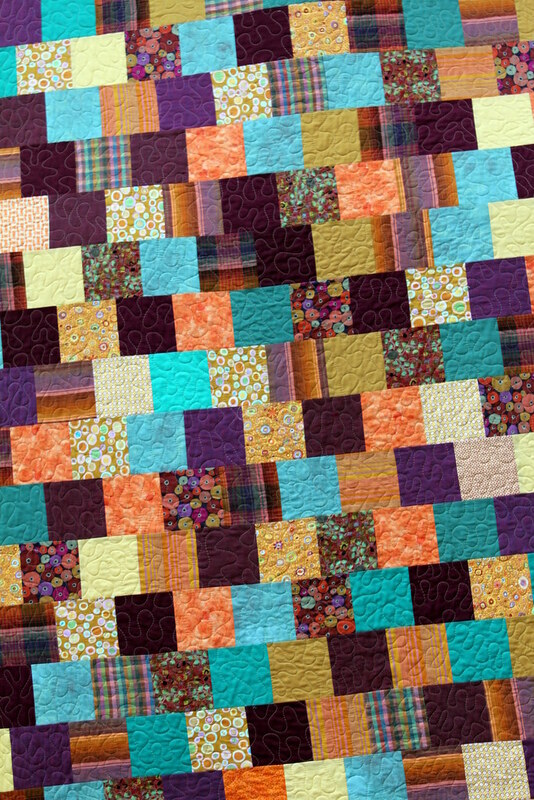 Multicolored Squares, using turquoise, orange, magenta and gold. My niece lives in Florida and may not need this warm bed covering often, if at all. Perhaps she will return to Pennsylvania, where there are plenty of nights when a flannel backed quilt is much more useful. 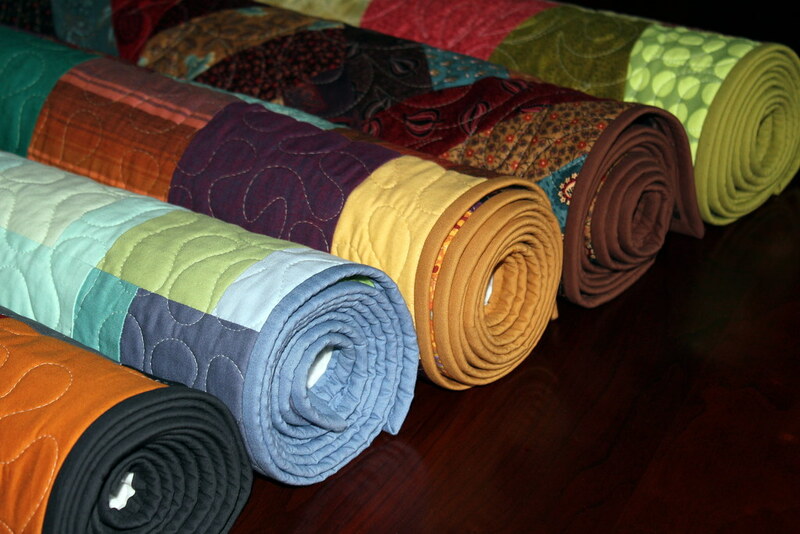 I can't wait until Thanksgiving, when we are all together, and I get the chance to distribute the quilts. It is truly rewarding for me to share my craft with my family members as I know how much they appreciate my efforts. Yowza ... these are wonderful ... 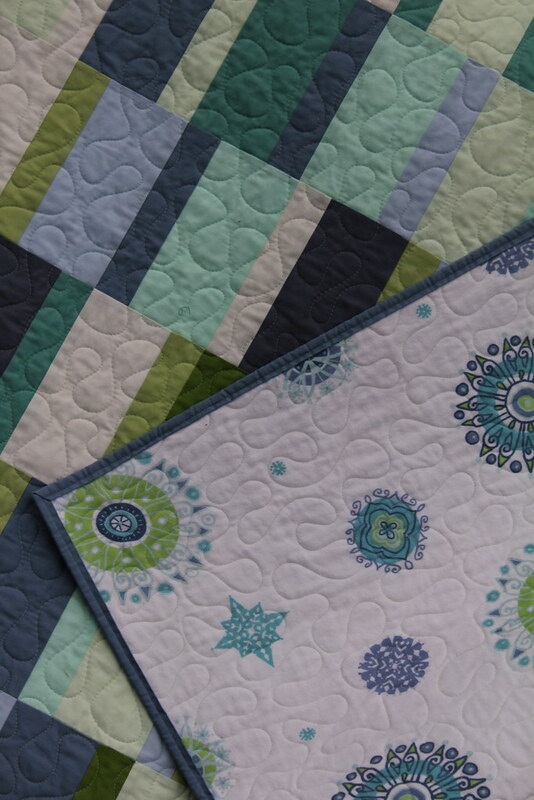 I especially like the colors on both the Plain Spoken quilts! Wow, that is definitely a whole lot of work! They are all beautiful! 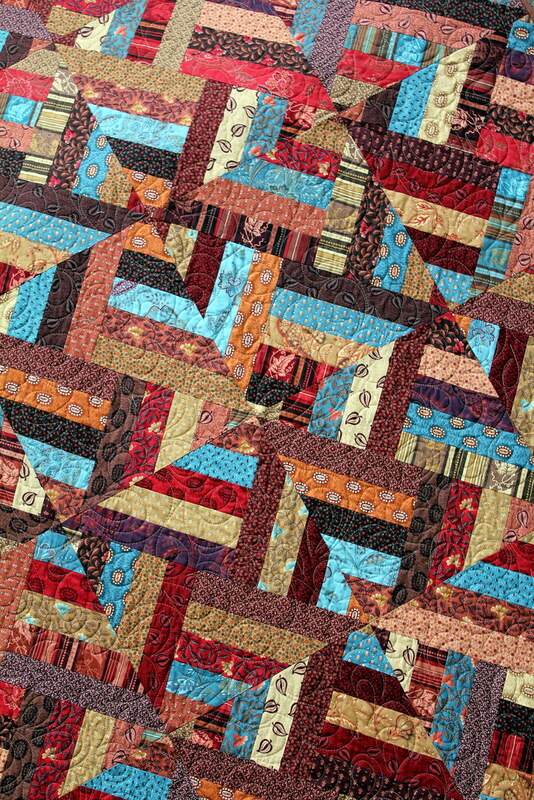 What is the quilt pattern on the first and the 4th? The fourth one is called Strip Search. This pattern is from G.E. Designs. I bought mine in a local quilt shop, you can also buy one on line at www.gequiltdesigns.com. They are all lovely. And the flannel sheets for backing are terrific. Very nice sheets too -- where did you find those? Wow, you have been busy! I love the different tops you made up and the use of sheets! I would die to have the last one with all of the animals on it. Thanks again everyone. I bought the sheets on line from The Company Store. They have so many cute ones and they always go on sale after the holidays. A flat, twin sheet is just the right size for a quilt. 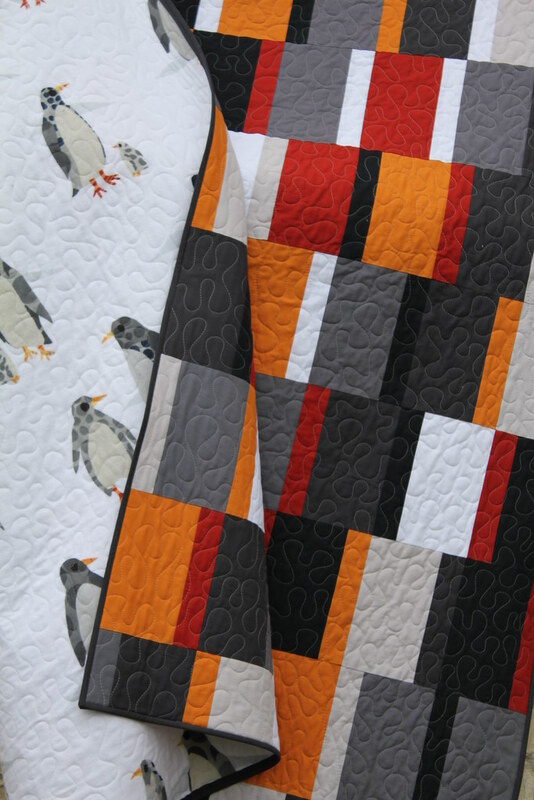 A few people have asked me the name of the orange, red and gray penguin quilt. 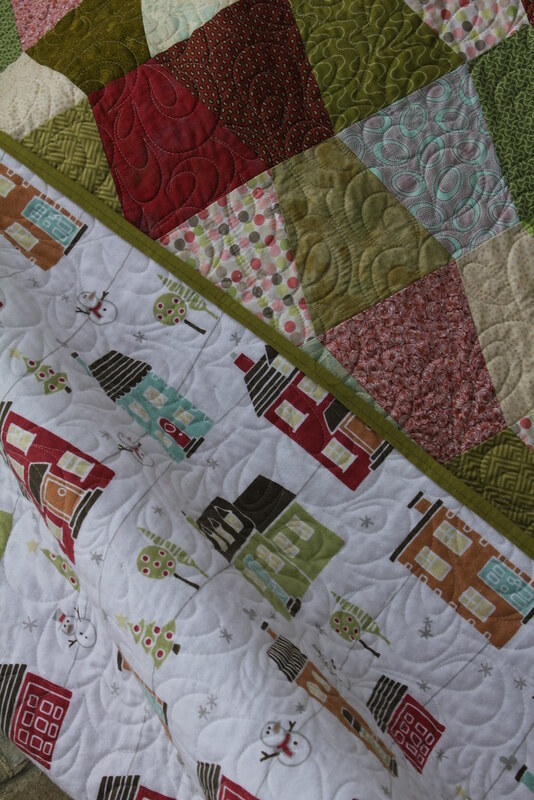 It is a modified version of the Plain Spoken quilt found in the Modern Quilt Workshop book. I chose to alternate my narrow and wide rectangles as it was easier for me to match seams that way.